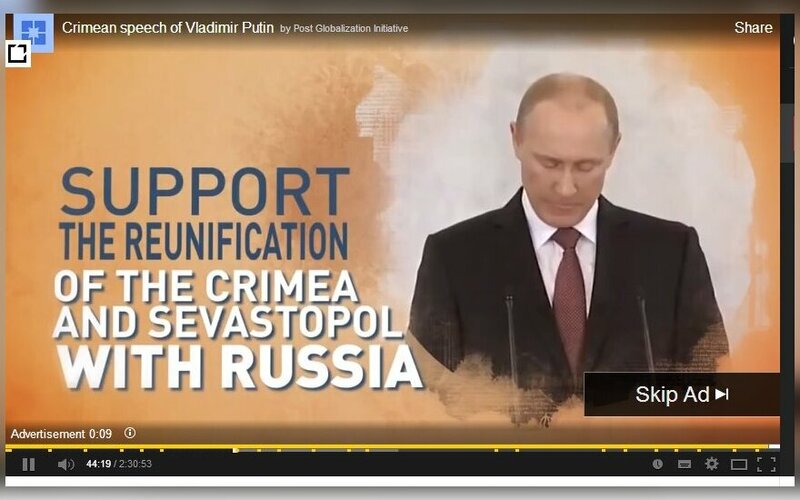 Russia‘s propaganda machine in the war against Ukraine is gaining momentum. It uses diverse tools: from repetitive stereotypical concepts through Moscow-backed information channels to fact and data falsification. The propaganda machine has to control its own monster, a radical public opinion prevailing in Russia‘s information space. Part of Russia‘s society is ready for an actual war with Ukraine as a proof that the state has regained its superpower status and is ready to start and win global conflicts. According to the public polls, about 40 percent of Russian citizens support the use of military force in Ukraine. By the way, there are no doubts that open aggression against Ukraine would become a global conflict. It is most likely that military forces of the third countries will not be used but this situation might have other hints of a global conflict: higher economic pressure on Moscow and political isolation of the Kremlin. It is reasonable to assume that having authorised the adventure in Ukraine, Russian Government has dragged itself into the trap. As in 2008 in Georgia, the Kremlin now tries to measure a possible extent of its actions in the post-Soviet space which is considered as a zone of Russia‘s special interests and direct influence. An initial vague response of the West (again, as was the case with the 2008 conflict with Georgia) let the Kremlin realise that it can act in a wider space than during the war against Georgia. Soon Crimea was annexed. Propaganda forces have been strengthened in parallel and had to direct the opinion of Russian society to the ‘right’ direction. However, the endless conflict (first of all refusal of Ukrainian forces to respond to provocations of Russian troops) made the Western world wake-up at least partly: this world is awakening reluctantly but it cannot close the eyes to the events in Ukraine and to Russia‘s role in Ukraine. Economic sanctions have demonstrated that the West has woken up. Although Moscow laughed at that, it seems that sanctions have affected Russia. Russian Government realised that it is too dangerous to further escalate situation in Ukraine. This fear can explain the reduced support which has been officially demonstrated by Putin toward Luhansk and Donetsk „people‘s republics“. It seems that now the decision was made to suspend the conflict (force Ukraine stop anti-terror operation) and make all the parties start negotiations with the two mediators: Russia and the West. This plan suits Moscow for it turns Ukraine into a country with a „frozen conflict“, a buffer zone. Being unable to make Ukraine join its integration projects, Moscow can prevent its movement toward the West. On 8 July expert Shevtsova wrote about that on her Facebook page. According to her, Putin cannot back out of a war discourse, since this discourse is backed by his image as a defender of the „Russian world“. But the principles of this discourse should change. The West would support the role of Putin as a peacemaker (this would bring back the hope to reach agreement with Russia). Shevtsova believes that Russia will choose this strategy, but then it will have to dissociate from all radical fighters and their leaders in Eastern Ukraine. In other words, Russia will choose a more subtle option of the game which could calm down a still half-sleeping Western world. But Russia‘s propaganda machine is directed toward heroic military narration, thus, the society now requires blood from the Kremlin. Putin delays to show support to separatists and provide them with direct military assistance, and this is evaluated as his weakness. Russian political observer I.Yakovenko used a metaphor of „dragon’s teeth”: the current imperial hysteria in the public space is a result of propaganda which, as dragon‘s teeth from the Greek myth, were planted into a fertile soil (in public consciousness). Let me remind you that in the above myth the warriors emerging from dragon‘s teeth attacked the man who planted them. The radicals blame Putin for betraying the idea of Novorussia. Radical eurasianist Dugin is also complaining; according to him, „ the fifth and sixth columns“ are discouraging Putin from war with Ukraine, but in any case war is inevitable. 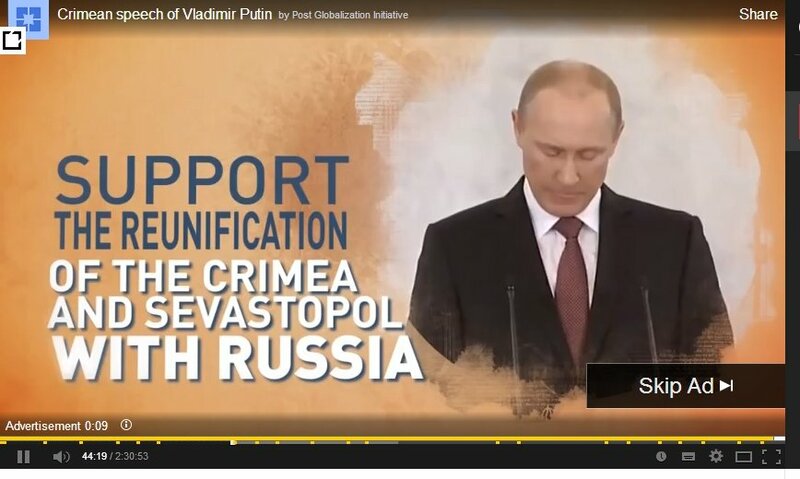 Thus, the irresistible Russia‘s propaganda machine can do a disservice to its owners. Too much time was spent to convince Russian society that the upheaval of nationalists was organised in Ukraine, that power was taken by the mystic „banderovci“, and this myth was backed by the strategy of falsification of events and facts. In this situation Moscow‘s attempt to change tactics of the game directed against Ukraine might be evaluated as weakness. Having in mind that Russian society is highly radical due to the mass propaganda, it can be assumed that propaganda war might undermine the Kremlin. The difference between propaganda statements and actual actions in the public consciousness causes cognitive dissonance. This could determine the necessity of a new leader, whose radicalism would mach mental public radicalism.